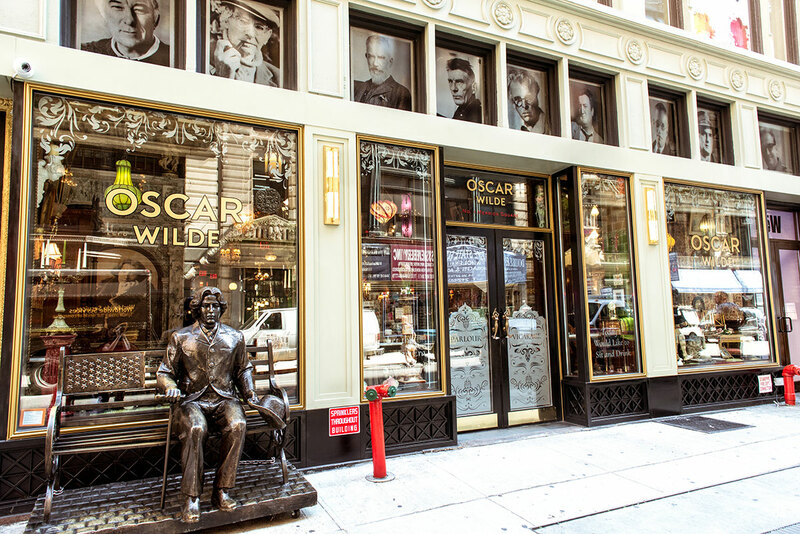 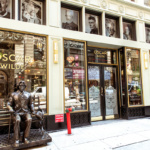 The building housing Oscar Wilde, a new bar at 45 West 27th St. in Manhattan’s NoMad district, was once the headquarters of New York City’s Bureau of Prohibition and the mob, whose members reportedly listened in on federal agents there. 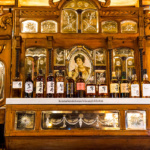 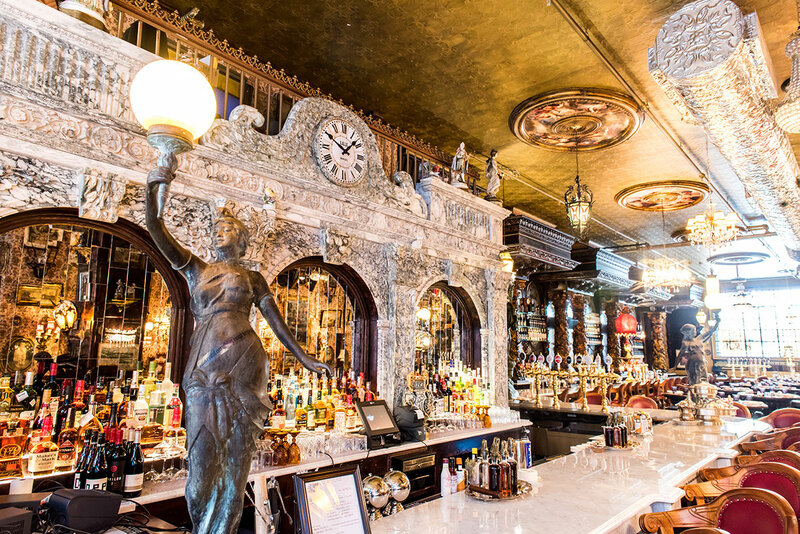 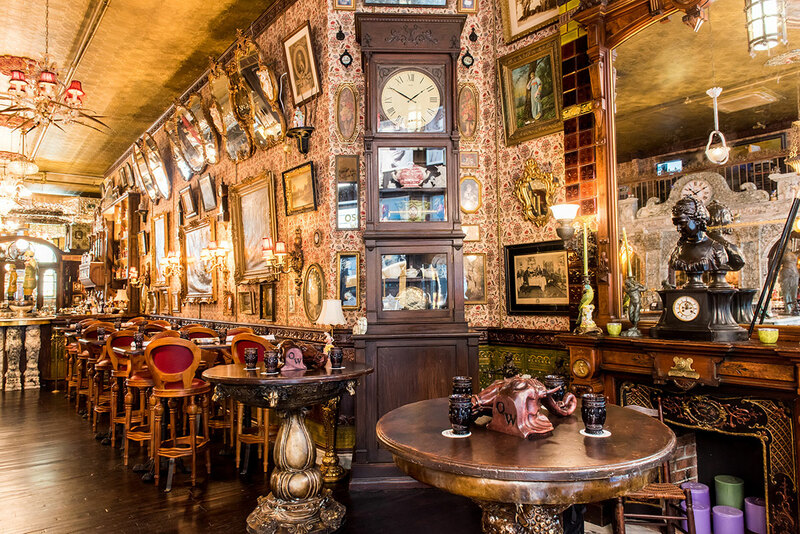 With 300 whiskeys and 32 beers on tap, many sourced from New York State, Oscar Wilde’s 118.5-foot-long bar—one of the longest in the city—is the centerpiece of the entire 5,874-square-foot space, starting from the front, near the entrance, and eventually wrapping around the back wall. 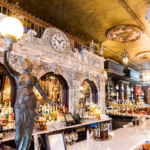 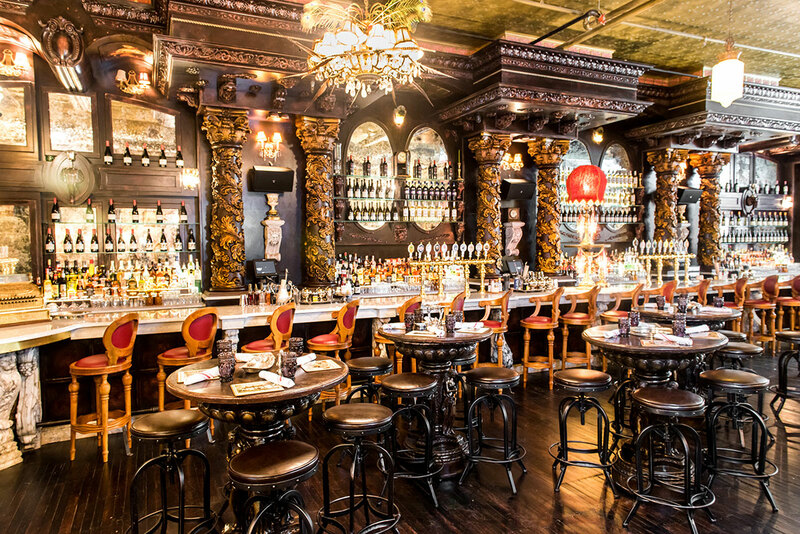 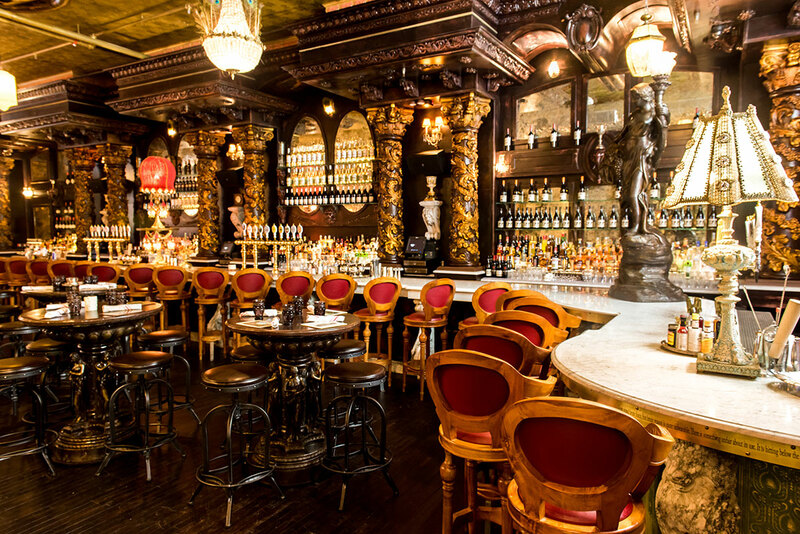 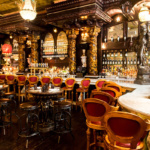 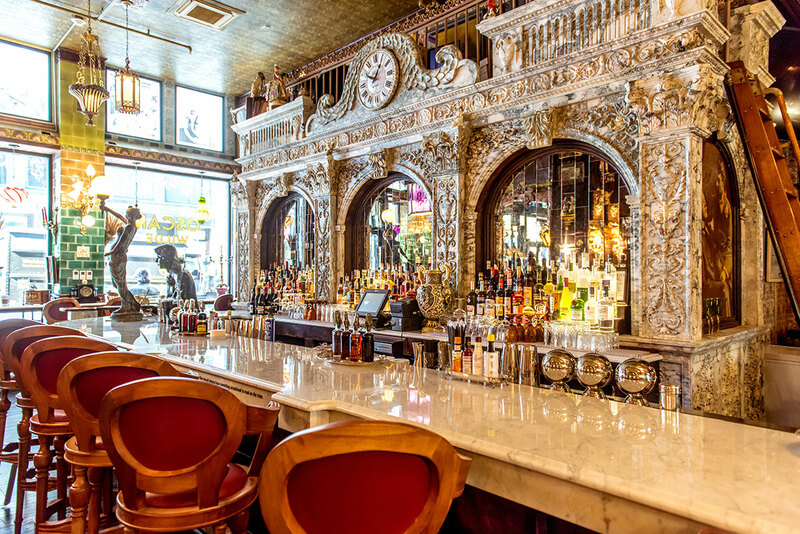 Designed and commissioned by owners Tommy Burke and Frank McCole, the bar consists of a top of white Italian Carrara marble, while the base is gray-green, ornately carved, Victorian-inspired Connemara marble from Ireland. 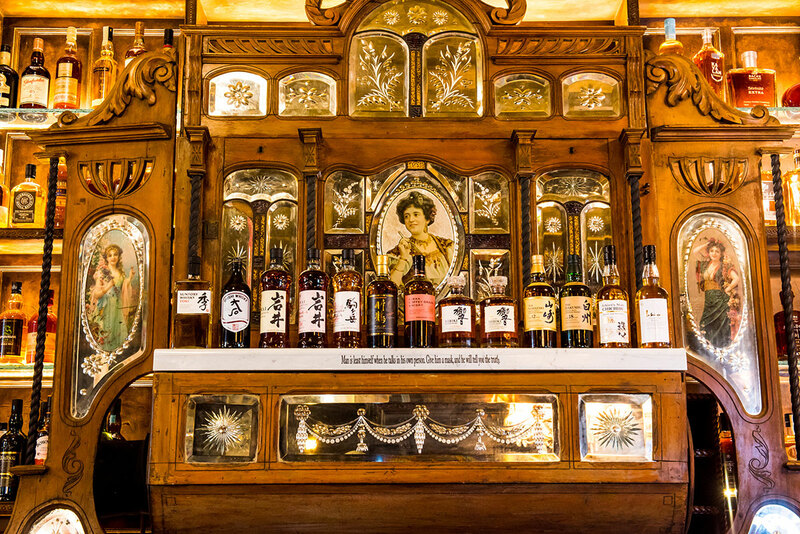 The entire bar was carved by hand in Vietnam. 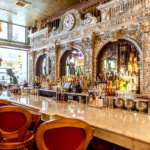 Carved stone can be found elsewhere throughout Oscar Wilde: on the hostess desk directly inside the front door, as well as on what McCole calls “belly bars,” individual bars with round tops where patrons can stand and drink. 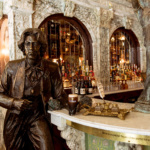 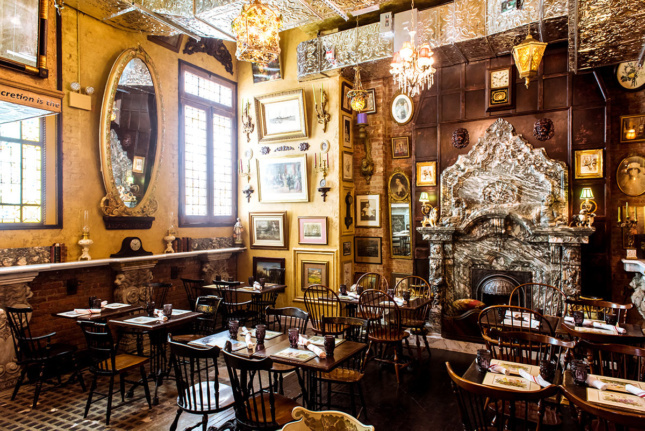 McCole and Burke spent five years collecting the wonderfully eclectic works of art, stained glass, and furniture that cover almost every square inch of every surface of Oscar Wilde, making between 30 and 40 trips to Ireland, the British Isles, and France to find objects for sale at old estates and auctions. They even uncovered European antiques, such as the oak door of the restroom on the ground floor, in Argentina. 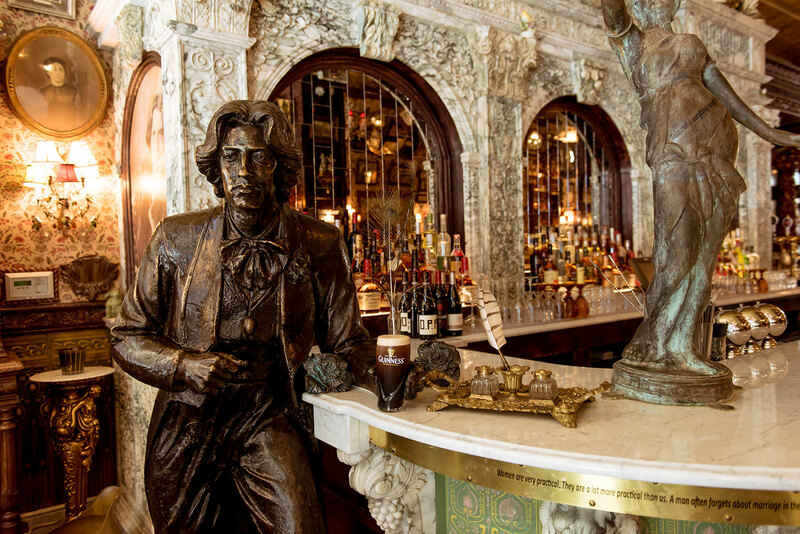 Scattered throughout—on many carved elements, in the windows, on some walls—are direct quotations from Wilde’s writings. 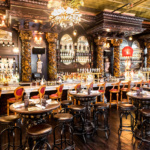 The bar officially opened August 15, with C3D Architecture as the architects of record.